Perk up at this famous bakery-cafe that produces mind-blowing baked goods. Sure, there’s a long line but it’s long for a very good reason. Sip a cup of coffee and nibble on the delicate pastries for breakfast—but come back another time to sample some of their supremely executed sandwiches and fine wine and beer list. The Country Loaf is famous (and hard to get) and the croissants are buttery and flaky as they should be. For a change, try the pecorino and almond sandwich. Finish your coffee then mosey on over to Mission Dolores Park, a true cultural hub. If it’s not a foggy day, you’ll be treated to a sprawling view of the San Francisco skyline. Palm trees border the expansive lawn, making it the perfect oasis from the bustling city. Watch out for performances and festivals throughout the day! Did you build up an appetite yet? Good, because you’ll be making your way to a carb-lover’s heaven. An offshoot of SF classic Delfina, this solid pizza place serves Neapolitan pies, antipasti, and even a short wine list. The menu changes a lot but whatever you get, you can be sure it’ll be excellent. Buon appetito! 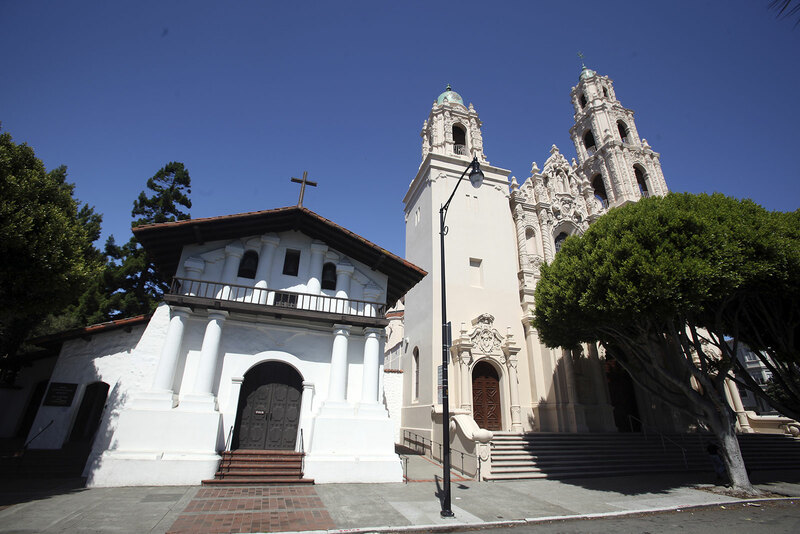 Fun fact: the Mission was a filming location in Alfred Hitchcock’s acclaimed film, Vertigo. It’s also the oldest surviving structure in SF. Take a look at the intricate designs that have been on the ceiling since the 1770s, then venture outside to the cemetery, which is surprisingly not at all scary. Tombstones date back to the earliest days of San Francisco’s history, making this one of the neatest spots in the neighborhood. If beer’s not your thing, opt for ABV instead (or head there after for a nice cocktail). A large-scale mural welcomes you to this trendy spot, and cheese plates are served alongside well-balanced cocktails courtesy of luminaries Ryan Fitzgerald and Todd Smith (founders of the drinks program at Bourbon and Branch). Appreciate the gin-bottles-turned-candle-holders and the destroyed mirrors fashioned into glistening chandeliers. A real life Wonka Chocolate Factory exists, and it comes in the form of Dandelion Chocolate. Sweet tooths can binge on the handmade candy bars, brownies, and even cocoa beans inside the modern chocolatier and cafe. Prices are a tad on the high side but treat yourself, you’re going to leave your heart here anyway.